New rules to combat the spread of Value Added Tax (VAT) carousel fraud will start on 1 June 2007. HM Revenue & Customs (HMRC) says its new "reverse charge" policy will make it harder for fraudsters to steal billions of pounds from UK taxpayers. From June, only the last retailer to sell imported goods to a shopper will charge VAT on the goods. Only mobile phones and computer chips are affected. Carousel fraud cost the government between £2bn and £3bn in 2005-06. However, the losses seem to have shrunk since then. HMRC has been planning to bring in the new VAT accounting system since the start of 2005. The government had originally wanted the new policy to come into force to last December, and on a wider range of electrical goods such as hard discs, MP3 players and games consoles. But the introduction of the "reverse charge" was delayed by negotiations with other countries in the EU who felt that the problem might simply be transferred to them. 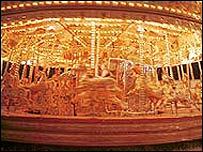 Carousel fraud typically involves the repeated import and export of high value goods free of VAT from other countries in the European Union. These goods are then sold on in the UK through a series of contrived transactions which fail to collect or pay any VAT, but when the goods leave the country the criminal then claims a VAT refund. The new reverse charge policy will combat this by making VAT chargeable only by the last retailer in the chain as they sell the goods to a member of the public. "By removing the opportunity to steal VAT on business-to-business transactions, it will prevent fraud in those goods," said the HMRC. Since 2001, HMRC has lost more than £10bn to this type of fraud. In 2005 the then head of Revenue & Customs described it as the single biggest threat the UK's tax system had ever faced. With the introduction of more staff to scrutinise refund claims, tougher rules on VAT registration in the first place and more vigorous investigations and prosecutions, the value of trade associated with carousel fraud has slumped. "HMRC has committed 700 additional staff, and now uses over 1500 staff to identify and tackle the fraud and those involved in it," said HMRC. Government statistics show that trade estimated to be driven by carousel fraud reached a peak of £14bn in the second quarter of 2006. More recently though it has been running at a rate of just £100m a month.